The rapidly growing number of people getting older and moving into senior living centers, senior living design and amenities just keep improving. Assisted living is moving away from the cold and stark hospital-like feel and moving towards more comfortable and fashionable settings that helping seniors feel more engaged and happy. Trends in senior living design are making the way seniors live more relaxed and happy to be at a senior living community. As mentioned, more and more assisted living centers are creating a home-like atmosphere for their guests. Common areas, a dining room, private or shared bedrooms with pictures and knick-knacks give a senior center a more relaxed atmosphere. Not only are senior centers hoping to provide a more comfortable place to live for seniors, but also the staff who work there, as well. Supporting one’s staff helps ensure quality workers who undoubtedly will take even better care of their residents. In more traditional assisted living settings, many people complain about isolation. 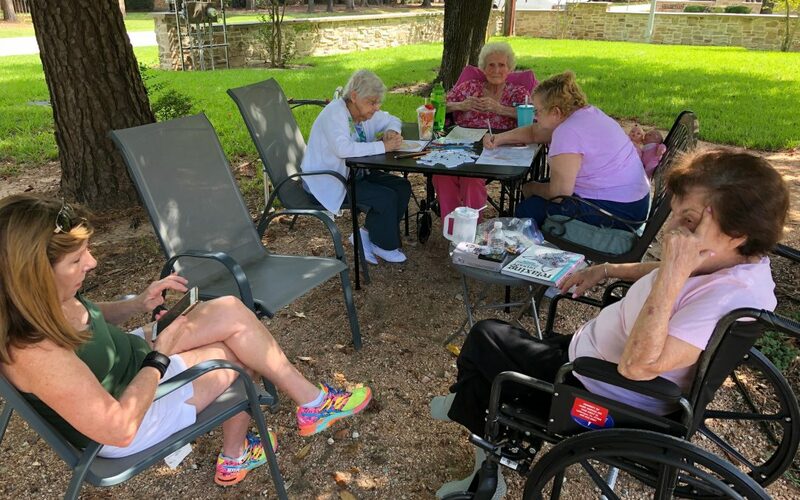 A new trend for senior housing is to make sure seniors stay connected to their communities. Providing opportunities for seniors to contribute and participate in community events, such as bake sales, and charity events can make a senior feel needed and appreciated. Senior living centers are also creating communities within their walls, as well, with planned activities, such as aerobics, art classes, and music and dancing times. Senior living centers understand that furnishings play a role in the ease of a senior’s life and many are embracing functional and dual-purpose furnishings to help make their guest’s lives easier. For example, lounge chairs with cup holders and table arms give seniors a place to put their snacks or write a letter, or benches which double as storage or a coffee table allows seniors to sit put their feet up, or have a blanket stored close by. Not only does LED lighting help save energy and money, but it has been found that LED lighting can help promote better sleep patterns and reduce anxiety, helping your loved one feel more at ease and healthy. No one wants to be stuck inside all the time. Creating a safe outdoor space for senior living is another trend in senior housing that isn’t going anywhere. Designated garden areas, places to sit, eat lunch, or read a book are all important features when looking at senior living communities. Your loved one isn’t just a number and it is important that seniors find a place that understands the importance of keeping their guest’s minds and bodies healthy. Look for communities offering meditation, tai chi, yoga, and art classes to help stimulate the mind and body. Also, memory care is another way senior housing is reaching beyond the realm of the traditional assisted living. Memory care offers individualized help and attention when a senior suffers from dementia or Alzheimer’s. When a senior moves to an assisted living community, they shouldn’t have to leave their beloved pet behind. A senior living community that truly cares will allow them to bring their four-legged friend along so they can continue being their faithful companion. Senior housing communities are changing for the better. Newest trends in senior living, like those listed above, are just another reason people are moving away from traditional assisted living and more towards places that offer a home-like atmosphere, community engagement, mind and body classes, and allow pets to stay with their owners. ProTip: With recent trends in senior living design, you loved one has more amenities with a more homey feel, letting them feel relaxed, comfortable, and at home in their new senior housing community. Contact us to learn more trends in senior living design.